BREA, Calif. – Suzuki Motor of America, Inc. (SMAI) introduces the new 2015 Suzuki RM-Z450, engineered with new race-proven features to boost riding and racing performance from the gate drop to the checkered flag. 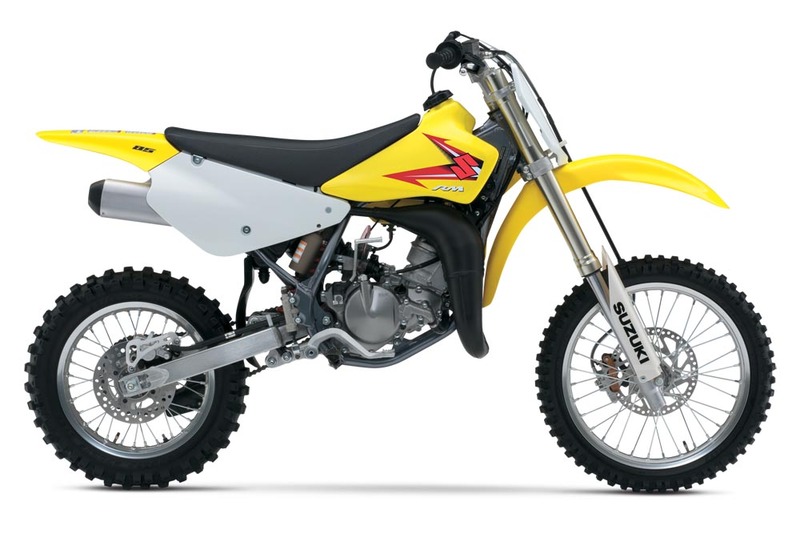 Suzuki also announces the return of the Suzuki RM85 for 2015, as well as the Suzuki RM-Z250. RM-Z450 provides a more aggressive launch when gate conditions provide more traction. In either mode, Suzuki Holeshot Assist Control is programmed with specific commands that return ignition timing to normal operation and let riders power into and through the first turn. Riders engage Suzuki Holeshot Assist Control from a button on the left-side handlebar, and can shut the system off, too. To help riders with control of track and trail beyond the starting gate, the new RM-Z450 features the Showa SFF Air Fork. Tested and proven by factory racers including James Stewart, the SFF-Air is now standard on the 2015 RM-Z450, and delivers more progressive suspension feel and offers infinite adjustability in a package that’s nearly 2.5 pounds lighter than the conventional spring fork. Adjustments to the SFF-Air fork can be made easily with use of a hand-held pump. 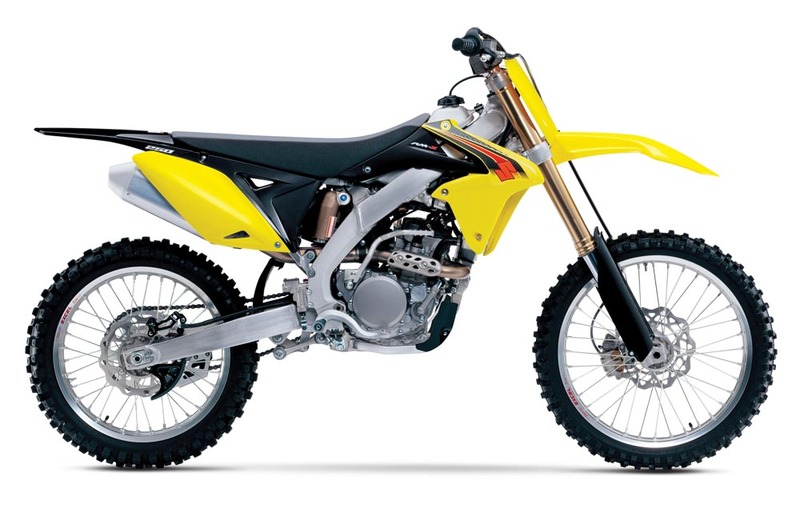 Suzuki engineers redesigned a number of components – including a longer kickstart lever, revised kick-gear ratios, updated de-compression system, a redesigned exhaust camshaft and more – to make the 2015 RM-Z450 easier to start, saving time and energy for riding. 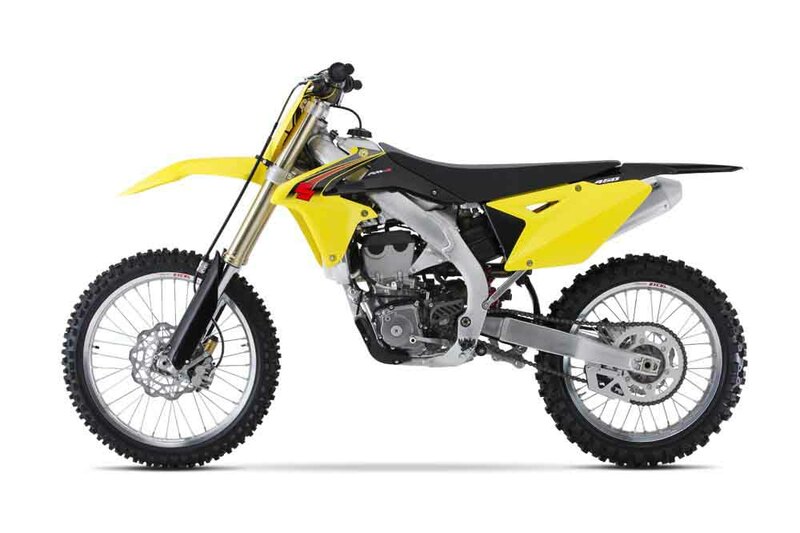 This new RM-Z450 features a 16-percent more efficient cooling system, with fluids traveling more effectively between right and left radiator halves, plus an updated water-pump cover and revised hose connection directing coolant directly into the water-pump. Redesigned frame members for a 4-percent weight reduction and balanced rigidity. The RM-Z450 still features key components such as Suzuki Fuel Injection with two additional plug-in fuel couplers feeding a 449cc liquid-cooled four-stroke engine with dual overhead cams, as well as the comfort, confidence and control of Renthal FatBars, Excel aluminum rims, and waved disc rotors. 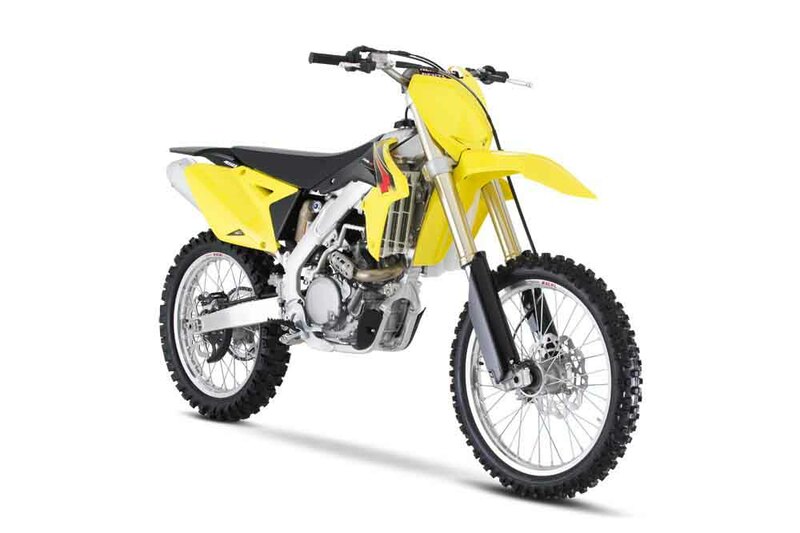 The 2015 RM-Z250 (Price TBD) returns with its class-leading performance features, including a lightweight 249cc liquid-cooled four-stroke engine delivering potent mid-range and top-end power. Suzuki fuel-injection technology born on the racetrack feeds this engine, and riders can choose from two additional EFI couplers that can be plugged in trackside without tools. Long known as the best-handling bike in its class, the 2015 RM-Z250 retains its chassis that delivers precise cornering with predictable performance that helps riders of all levels win races. Like the 450 the RM-Z250 also features key components such as Suzuki Fuel Injection with two additional plug-in fuel couplers feeding a 249cc liquid-cooled four-stroke engine with dual overhead cams, as well as the comfort, confidence and control of Renthal FatBars, Excel aluminum rims, and waved disc rotors. Younger riders and their parents will be delighted with the return of the Suzuki RM85 (Price TBD) for 2015. Combining two-stroke power with Suzuki-only handling, the 2015 RM85 returns to put smiles on faces, whether standing on the podium or just riding with family and friends. The RM85’s liquid-cooled two-stroke engine and six-speed transmission deliver superb throttle response and smooth overall delivery. Disc brakes front and rear provide ample stopping power, and the 17-inch front wheel and 14-inch rear keep this bike sized just right for young riders, from up-and-coming racers to those who love the trails. The complete line of 2015 Suzuki RM-Z and RM motorcycles will be available at Suzuki dealers beginning in July and will all be eligible for Suzuki contingency.